When you find our booth, (its #3434) shake a few hands, talk to the guys, and ask Rick or Drew for a flyer with your code! 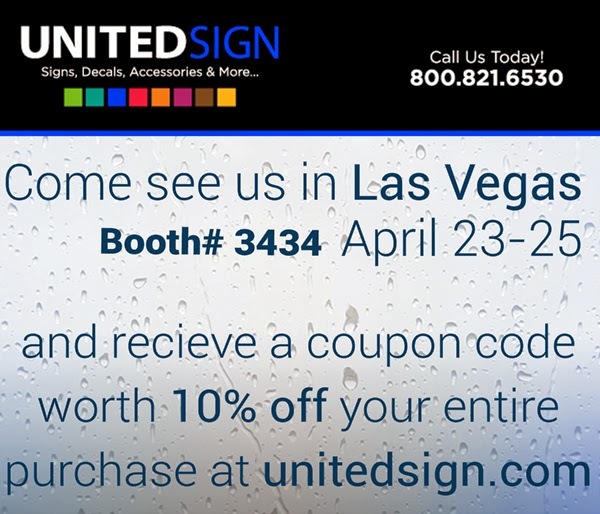 Just enter the coupon code at checkout on unitedsign.com, and you will get 10% off your purchase price. $500.00 dollar maximum discount. No Maximum discount on photo opportunities with the guys.